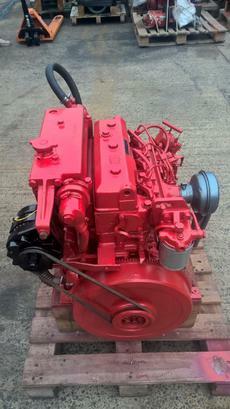 Engines > Inboard > Bukh DV36 36hp Marine Diesel Engine Package VERY LOW HOURS!!!!! 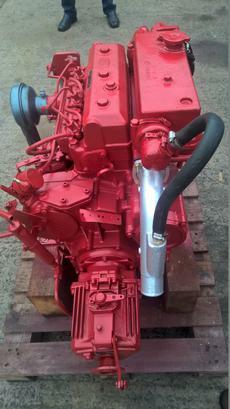 Bukh DV36 36hp Three Cylinder Heat Exchanger Cooled Marine Diesel Engine Package Including Gearbox, Control Panel & Loom. This is still the current model and sold today, with new units costing in excess of £11,000! We have a selection of these units available, all removed from ships lifeboats and as such all have run less than 250hrs from new and been very well maintained. 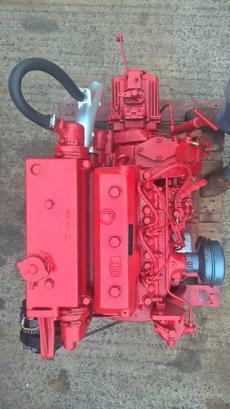 In many cases these engines will have run less than 100hrs from new!! They have also been running on closed circuit cooling so have never even tasted salt water. They have been converted back to the more common sea water heat exchanger cooling system in our UK workshops using new original parts. They have all been test run in our workshops, serviced, cleaned, primed and resprayed in Bukh red and are ready to go to work. Part exchange always considered running or not.